I have had a lot of experience with “New Gardens” over my 15 years of installing artificial grass that I thought I would share some of the knowledge that I have gained. New gardens will generally have poor topsoil. 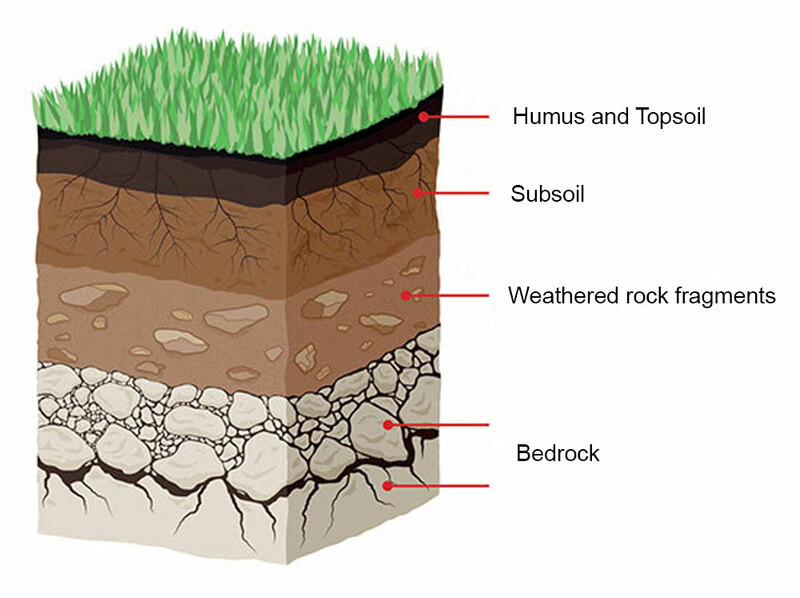 Natural topsoil (as in the image above) will occur over time by organic matter (humus) decomposing and compacting. It contains fine mineral particles, water and air and supplies all the nutrients for plants to grow. The topsoil you find in new gardens will have been added by the builders and will contain many minerals including large rocks, stones, builders’ waste and clay. Because it has been manually added it won’t have had time to compact. This type of soil simply has too much movement and air in it causing boggy like conditions when it rains resulting in movement of any grass that is put on top. This leaves us little option but to remove the topsoil to get down to the solid subsoil. 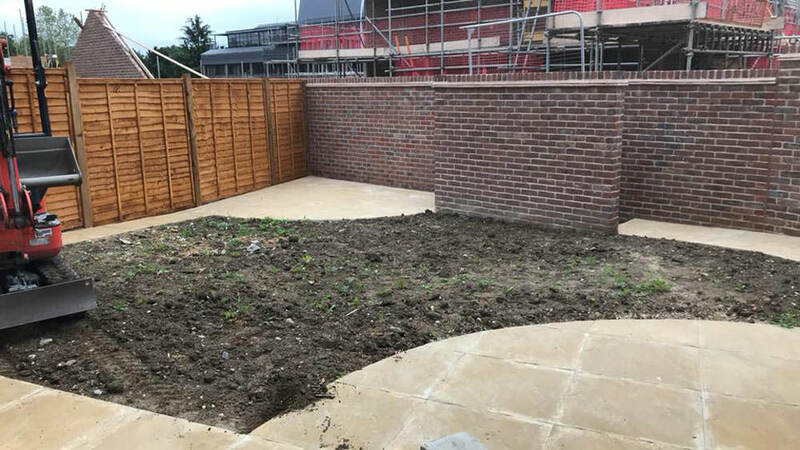 Gardens in new build houses are generally the last job on the list. The builders want to install them as quickly as possible to finish the job whilst making them look ok to the naked eye. Homeowners are often given the option to have their garden left with topsoil, real grass or artificial grass. 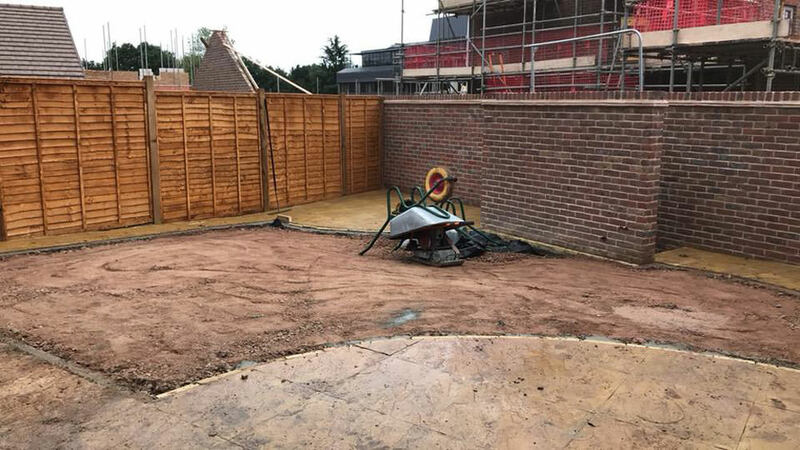 Because the builders are not worried how the garden will look in 6 months or a year’s time the real grass or artificial grass will be placed directly on the uncompacted topsoil. This is a surefire way to get an uneven, badly draining lawn. Due to the price of land new build gardens are generally getting smaller and smaller. They are often fenced in shady areas making them unsuitable for growing real grass. In addition to this the smaller space doesn’t allow room for a garden shed to keep the lawn mower and other garden lawn equipment in. Artificial grass is really the best option in these circumstances. The issue this time of the year is the surface of the garden soil is pretty firm having been dried by the sun. Most artificial grass companies will simply try to get the artificial grass down as quickly as possible whilst making the price look potentially attractive. They will cut corners and lay the grass directly on to the hard ground or a layer of sand. The grass will look fine for a few weeks whilst the ground is hard and the homeowner will think they have a lovely new lawn. But imagine what will happen to the grass after three weeks of rain? You have guessed it – The ground will flood and the grass will move leaving a bumpy, poor draining lawn. The only way to then fix it will be to lift the lawn up and start again. On nearly every new garden we have to remove tonnes of the builders topsoil to get down to the subsoil (firm ground). From here we can start building up our foundations. On some jobs I have had to take out as much as 18 inches of topsoil. 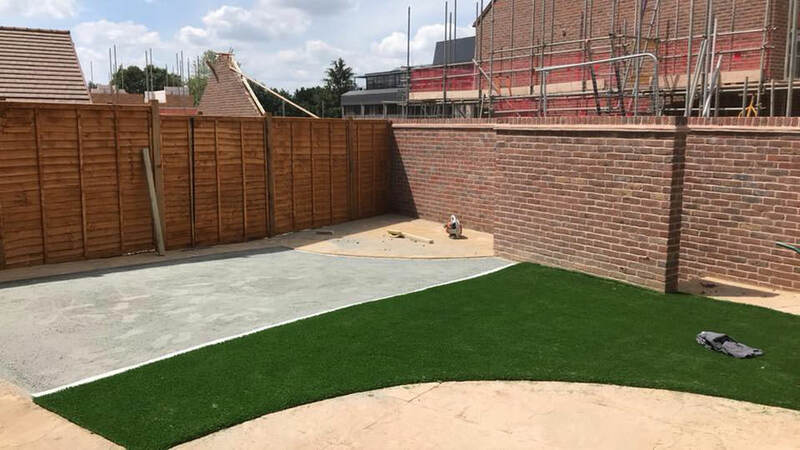 This is hard work, time consuming and adds extra to the price of the job (you will probably be offered a price of £35 per sq m to install artificial grass with no foundations and approximately £65 with). This work is essential if you want a good looking lawn that will last for many years to come. The groundwork area for this particular lawn was approximately 30sqm. We charged for a much higher area of groundworks as we knew we would normally look to take 3 tonnes out and put 4 tonnes back in. Not this one, after we had broken through the crusty top layer that had been baking in the sun we found the soil underneath was damp and soft. We went down 6-7 inches removing 7-8 tonnes of topsoil to reach the solid subsoil. We were then able to proceed with our groundworks, as we would do on every job big or small. On this occasion we needed to put down a whopping 6 tonnes of type 1 inside our fixings on a membrane. The groundworks were topped off with granite dust to create a free draining smooth surface on which we could lay our grass product the Knoll. 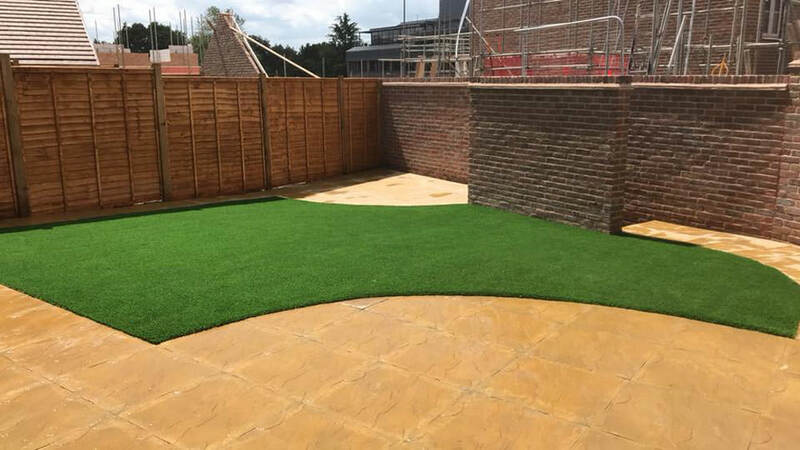 The result was a fine looking job built on solid groundworks, which is why we are one of the most reputable artificial grass installers in the UK. I wanted to leave a testimonial for you that other future customers could perhaps refer to you to help them decide about artificial grass and that the should be entirely confident when using your company. Your team recently laid Rectory grass in my back garden. The service i received from start to finish from your quote to after service received has been exemplary. It is clear you know this business sector really well and this has carried over to the quality of service provided by the team laying the grass and which was completed to a high standard. The timely follow up after service to ensure I was happy with the work was also welcoming and provides comfort and confidence. Fantastic service and great value for money . I would be happy to recommend your company to others.